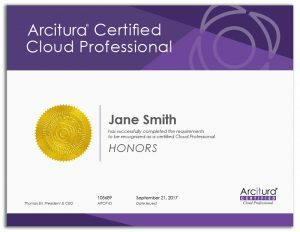 A Certified Cloud Professional has a proven understanding of cloud computing concepts, models and business considerations, and has further demonstrated proficiency in fundamental technology and security-related areas of cloud computing. The Cloud Professional track is comprised of CCP Modules 1 and 2, the outlines for which are provided in the upcoming pages. 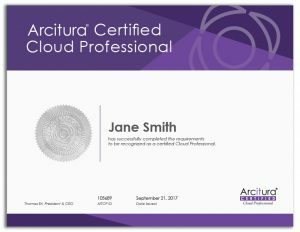 Depending on the exam format chosen, attaining the Cloud Professional certification can require passing a single exam or multiple exams. Upon achieving the accreditation, certification holders receive a formal digital certificate and an Acclaim/Credly digital badge with an account that supports the online verification of certification status. This certification is often issued as an interim accreditation to recognize the attainment of baseline proficiency for IT professionals pursuing one or more specialized CCP certification tracks. 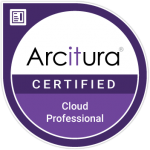 However, the Certified Cloud Professional designation is also issued as a standalone accreditation for IT professionals who only require a high-level of proficiency. 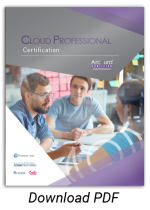 Examples of IT professionals that may only require the Certified Cloud Professional accreditation can include consultants, project managers, executive IT managers, business analysts and technical pre-sales professionals. Complete the exams for CCP Modules 1 and 2. Note also that the above exam requirements are in effect as of October 27, 2018 after which this certification is also available in an honors designation for those that pass both required exams with grades 10 percentage points higher than the passing grades.